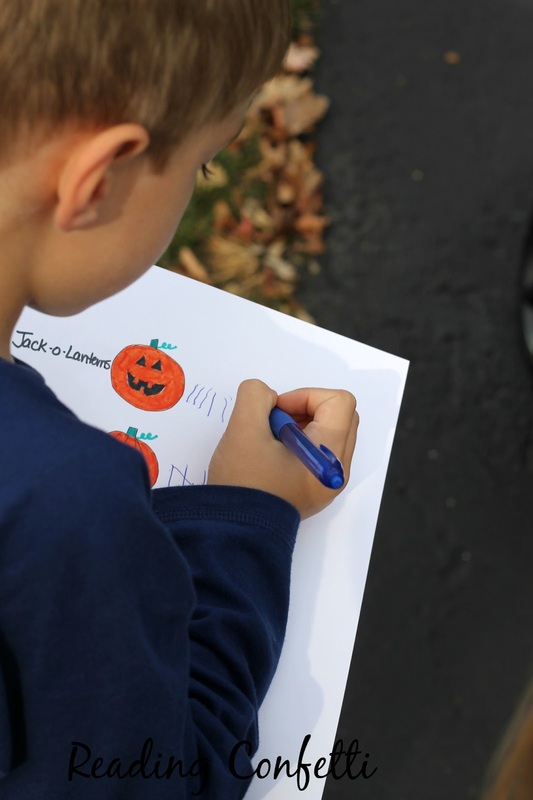 Kids can enjoy a fall stroll through the neighborhood and practice counting by five at the same time with this simple tally mark scavenger hunt with a Halloween theme. We recently printed the Halloween neighborhood scavenger hunt from Creative Family Fun. 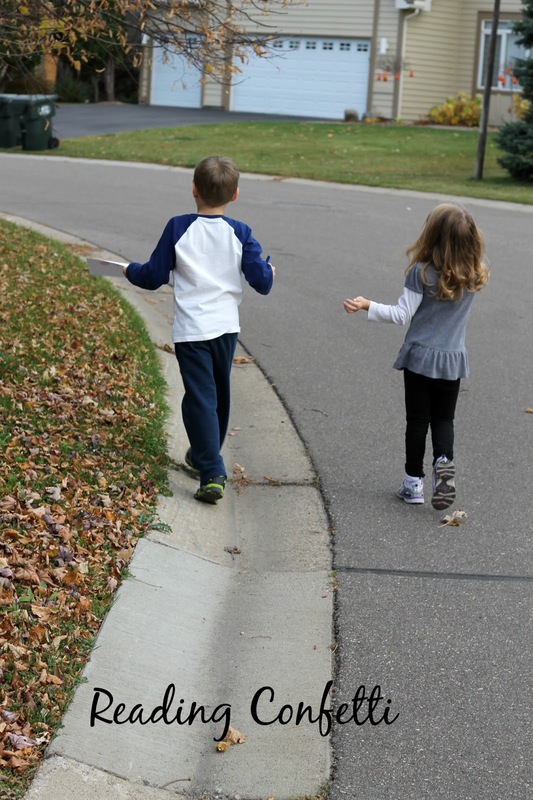 The kids really liked walking through the neighborhood and checking each item off the list. 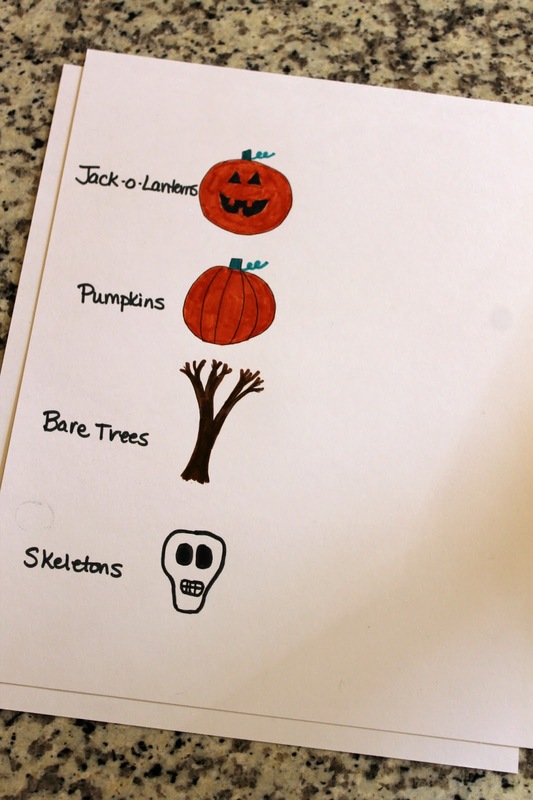 Since we found so many pumpkins, jack-o-lanterns, and trees without leaves in our neighborhood, it gave me an idea to make a scavenger hunt to find out how many of each are on our street. 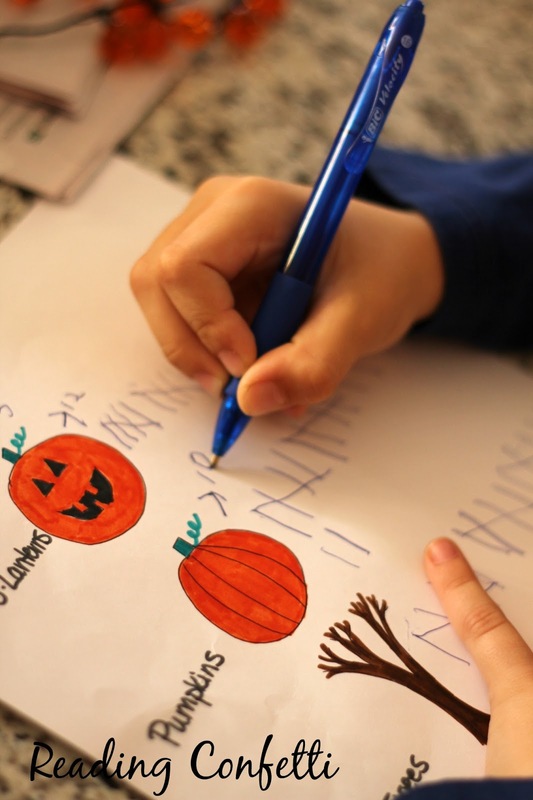 My son is learning about using tally marks and counting by fives in kindergarten so I incorporated that into the scavenger hunt. I started by listing a few things and drawing a picture since my kids aren't reading yet. We walked through the neighborhood and they made a tally mark for each thing we saw. They even added some categories like "ghosts" and "puppies". When we got home we figured out the number of each item and wrote it down. 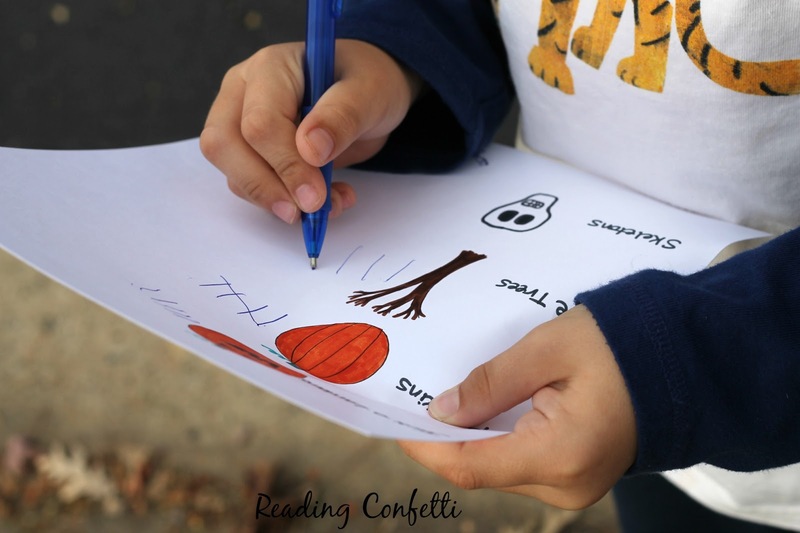 This was one of the easiest activities we've done and the kids really enjoyed it. I'm sure we'll do this again with other holiday decorations. 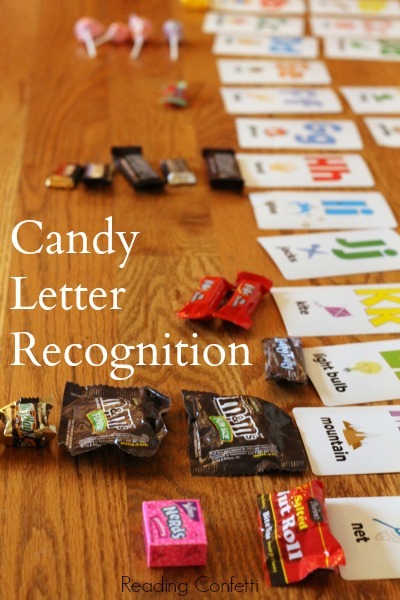 If you enjoyed this activity, I hope you'll look at our other ideas for Halloween including this candy letter recognition game that's a perfect way to use all that Halloween candy.